One of the most influential musicians of the past century, Bob Dylan's artistic vision transcends beyond the stage. Just as he has drawn on traditional folk and blues in his music, Bob Dylan's paintings are awash with classic American imagery of diners, motels and railroads. 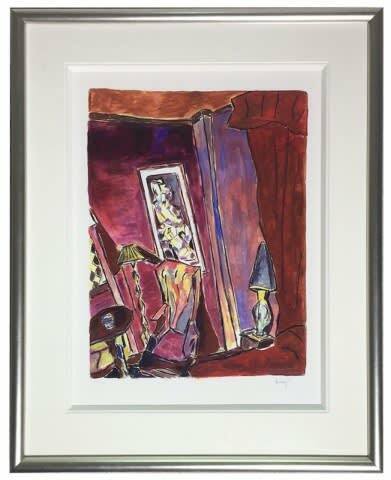 Described as "Hockney-like" by the Guardian, Canvas Gallery has Dylan's works in acrylics and watercolours, as well as beautifully detailed sketches, demonstrating his singular artistic muse across multiple media. For Dylan, art is simply another way of expressing himself when words fail. But it's also a way of filling time. When at a loose end between concerts he will often sketch. His artwork first became public in the 1970s when it appeared on his album sleeves such as Self-Portrait and Planet Waves. In his drawings Dylan tries to put "orderliness to the chaos around". 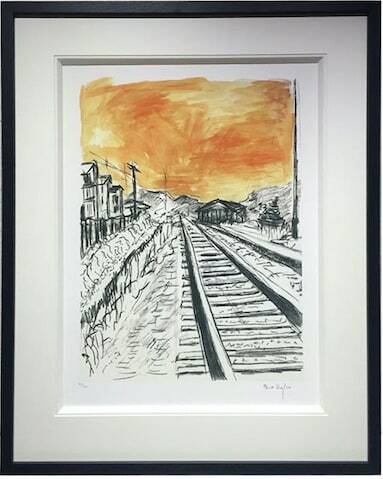 To browse original and signed Bob Dylan prints for sale, taken from paintings in Drawn Blank and The Brazil Series, please visit our dedicated artworks page below. Three years later his Brazil Series went on show for the first time at the National Gallery of Denmark in Copenhagen. Dylan has often visited Brazil on tour and these paintings chronicle his engagement with the country. Rather than vibrant beach scenes and verdant Amazonian vistas, this is urban Brazil seen in the hustle bustle of its streets and the poverty of its favelas. In 2011, New York based gallery Gagosian held an exhibition of Dylan's Asia Series of controversial acrylic paintings. 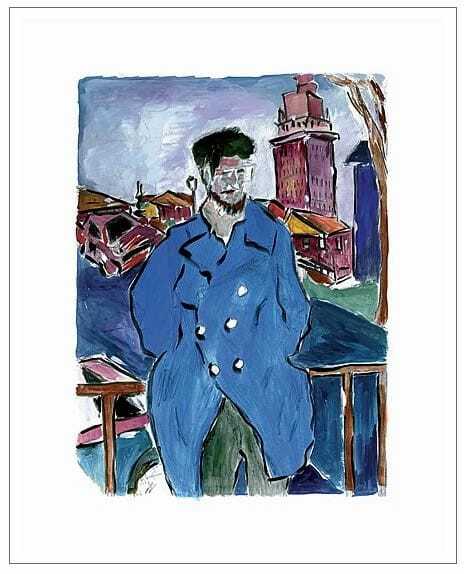 Bob Dylan's art is a glimpse of the world through his eyes. These paintings show a man on the periphery, constantly peering in, observing and are somewhat telling of life on tour. Views of hotel rooms, car parks and awkward looking people in bars are just some of the subjects he paints. Bob Dylan was one of the foremost figures of the beat generation. His music spoke of a time of great social change. Songs such as "The Times Are a-Changin" and "Blowing In The Wind" have immortalised an era for the enjoyment and inspiration of future generations. Born Robert Allen Zimmerman, he would introduce himself as "Bob Dylan" during his early performances, a change inspired by his favorite poet Dylan Thomas. In an interview, Dylan said: "You're born, you know, the wrong names, wrong parents. I mean, that happens. You call yourself what you want to call yourself. This is the land of the free." During his time at Minnesota University, Dylan developed his interest in American Folk, shaking off his rock and roll origins. He felt that folk music reflected real life and was a genre with which he could build a deeper connection. It was these formative years that helped him nurture his iconic sound. Soon after, Dylan relocated to New York City where he signed his first recording contract. This marked the beginning of his illustrious career. As the 60's progressed so did his involvement with the Civil Rights Movement. One of Dylan's greatest moments was performing at "The Great March On Washington", the same march where Martin Luther King made his iconic "I have a dream" speech. It was events like this that have come to characterise his legacy.